Hathaway, NT and Unicorn 2, what next? Crossbone?!!! I think Unicorn 2 is MSG: Narrative, but yeah I'm interested in seeing how this plays out. (04-23-2018, 10:35 PM)DairuggerXV Wrote: I think Unicorn 2 is MSG: Narrative, but yeah I'm interested in seeing how this plays out. 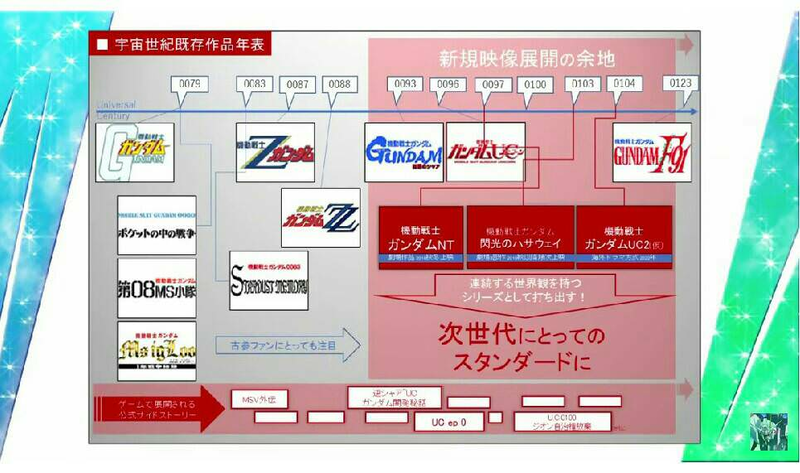 According to the pic, UC 2 is separate from NT. With great difficulty (my Japanese is ... not good) but I was curious and I loved the Gundams designs. Since the Hathaway's Flash novel is a sequel to CCA: Beltorchika's Children, which is different from the CCA movie, I expect some changes to be made for the animated version. Also, I'm willing to bet that there will be references to the events of Unicorn. Current time: 04-25-2019, 02:09 PM Powered By MyBB, © 2002-2019 MyBB Group.